Pharmacy and medical were like conjoined twins, separated after years of working together as one. Pharmacists have been around for about 50 centuries, evolving from the practice of medicine slowly into what it is today. To this day, there isn’t anyone that is as knowledgeable about all the types of medication than a pharmacist. A pharmacist can even use compounding techniques to make the fussiest pill popper pop a pill or swallow a liquid. They have their mysterious ways. You can find a pharmacist working in places like big box retail pharmacies to Internet-based medical companies, doling out prescription medications and offering helpful advice. Do you want to be a pharmacist? Read on, STAT with OU until QS (translation: read on, stat with both eyes until finished). A pharmacist has a varied career encompassing a large part of the care and wellness plan of patients. Pharmacists also profoundly influence research and the advancement of medicine. What a pharmacist’s day looks like will vary based on where they’re employed. Fill prescriptions: Pharmacists have to dole out the meds and prepare the bottles to be delivered to the patient. They have to make sure the dosing is correct; there are no conflicting medications that will cause an adverse interaction, and ensure the medicine is being placed into the correct hands. Talk to prescribers: If a pharmacist doesn’t understand something on the prescription, contacting the doctor who prescribed it is necessary. This happens a lot. Ensure safety of the patient: By keeping a check on what medications patients are on, pharmacists are able to make sure that there are no life-threatening adverse drug interactions. Dealing with the insurance companies: No patient should go without their medications. And it’s sometimes (ok, frequently) the pharmacist that has to be the patient’s advocate. Staff supervision: The staff of assistants, techs, and the lot all work under the monitoring of the pharmacist. So, you’ll have a little posse that you’ll need to guide. Administration stuff: The medicine and supplies are well-stocked. Reports have been created and filed. Paperwork, someone’s gotta do it. And, pharmacists know how to get it done. Give shots: As long as it’s a CDC-approved vaccination, a pharmacist who is certified in immunizations is allowed to administer it. Real relationship building: Pharmacists may also spend lots of time with patients responding to questions and concerns about the prescribed medicine or for altogether different reasons. But, in all honesty, this is an excellent way to build relationships and become the pharmacist everyone sends their friends to. It’s a lost art, it seems. Becoming a pharmacist, you can expect to have a highly rewarding career within the medical industry. But, not anyone off the street is a match for the position. There are certain soft skills and qualities necessary for you to be successful at your pharmacy job. Patience with the patients: The care you provide needs to be patient-focused. Which means, you sometimes will need to practice breathing techniques when dealing with some of people you’ll encounter. Speak and be spoken to: Communication is a fundamental component to any customer-facing job. And, as a pharmacist, you need to be able to be articulate because you’ll have to talk to doctors, as well as patients. You’ll also have to be a good little listener. Be analytical: To efficiently and effectively deliver medications, the needs of the patient, along with the orders of the doctor must be analyzed to ensure there aren’t any contraindications. Some business savvy: Whether you own a pharmacy or work at one, you need some business acumen to work the business portion of the pharmacy. You will be managing inventory, as well as a staff. Be a team player: Whether you’re working alongside other pharmacists, techs, or robots, you need to be able to get along with, listen to, and collaborate with everyone on your team. Pharmacy is an excellent career choice. For starters, pharmacists get to help people every single day. Some people may not appreciate the help, but that doesn’t mean it didn’t happen. Hey, the six-figure salary isn’t anything to turn up your nose at, either. While there isn’t a lot of flexibility in your work hours, pharmacists have a career that is upwardly mobile, in that there are advancement opportunities along with corresponding raises. 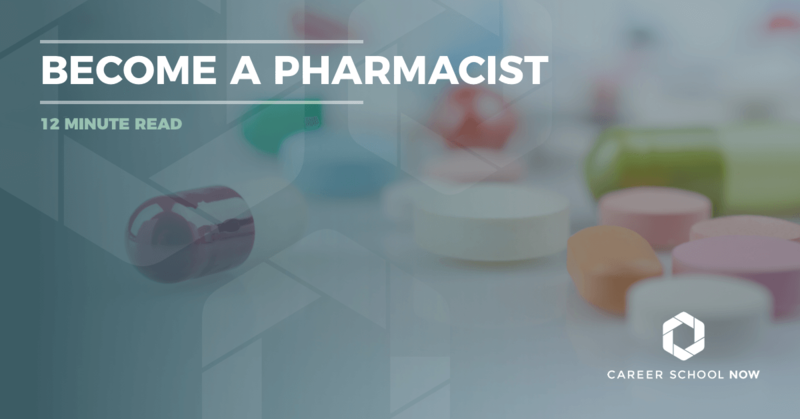 Pharmacists have a broad range of opportunities afforded to them. They can work in retail, or they can decide to open their own pharmacy. But, because job availability might not be as plentiful, it’s important that you keep your eyes and options open. ARE PHARMACY JOBS BECOMING OBSOLETE? Pharmacy jobs aren’t necessarily going to become extinct. However, much of the process a pharmacist does may be replaced autonomously. New England Healthcare Institute reports that medication errors, both on the inpatient and outpatient end, total over $21 billion annually. This number doesn’t include the cost based on some preventable casualties associated with these errors, which equals around 7,000 people per year. Duties such as pill dosing, which holds an estimated 37% of all medicine-related errors, can be done more accurately through artificial intelligence, as scary sounding as that may be. While it could take decades for AI to replace human interaction with emotions such as empathy and compassion, they will certainly be able to more precisely and quickly check for adverse drug interactions, along with offering better recommendations. AI will have all the information stored within their ‘brains’ and will be able to access it much more rapidly than us humans. As there are two sides to most theories, same goes with pharmacists becoming obsolete. There are areas within the pharmacy professions that will be difficult, if not impossible to replace. For one, social collaboration and cooperation. Also, medication therapy management, which is a growing field for pharmacists. MTM pharmacists work with patients to perfect their drug therapies thus enhancing their outcome. As computers and AI become more advanced, that just means pharmacists will have to create new niches for themselves to stay relevant. And, they will in the way of direct patient care and a new form of artificially intelligent collaboration. It will take you between 6-8 years to become a licensed pharmacist. That seems like a long time, right? Keep in mind all the information you need to file into your brain first. You’re being taught about an awful lot of meds, their dosing, interactions, and so much more. It just simply takes a long time to learn the necessary information. Undergrad is a must. Four years with a focus on science such as biology, anatomy and physiology, and chemistry and organic chemistry. You’ll also need math because you will have some of that during your career as a pharmacist, correctly figuring out dosing and such. Don’t get comfortable just yet; you’re not done after four years. You have to get your doctorate in pharmacy, aka Pharm.D. But first, before pharmacy school, you’ve gotta take the PCAT (aka, the Pharmacy College Admissions Test). Without passing this test, you can’t get into pharmacy school. Period. After you’ve completed all the required education, you’ll have to sit for and pass the North American Pharmacist Licensing Exam (NAPLEX). This is the licensing exam which allows pharmacists to work in their field. One last thing before you go, you still need to take a second exam, which is state specific, the Multistate Pharmacy Jurisprudence Examination (MPJE). For real, this is the last, but not least: If you decide you want to specialize, you can spend one to two years in a clinical residency. There are some fascinating specialties available to pharmacists. Specializing isn’t a requirement. But, with the way pharmacy seems to be headed, it’s definitely recommended. To broaden your knowledge, skills, and paycheck, you may want to consider becoming licensed in one or more of these areas of specialty. Keep in mind, each certification must be renewed, and there are continuing education components to each one, as well. Ambulatory Care Pharmacist: This is a newer practice and certification for pharmacists. Ambulatory care incorporates integrated, accessible healthcare services with patient care and medication management. Average salary is $115,363. Critical Care Pharmacist: This certification allows pharmacists to work alongside the medical team assisting with critically ill patients. They make sure the medications that are being administered are safe and efficient. Salary.com places the salary range for clinical care pharmacists between $102K-$119K. Geriatric Pharmacist: With this board certification, pharmacists consult with the healthcare team taking care of the elderly patient within nursing and assisted living facilities, as well as hospice. Geriatric Pharmacists will make sure the best route of medication is being given, and they will spend time speaking with the patient, as well. The salary of geriatric pharmacists ranges between $89K-$150K with a job outlook that is excellent. Nuclear Pharmacist: This is a specialty area in which pharmacists are certified to work with radioactive materials used in nuclear medicine. Nuclear pharmacists make between $118K-$136K annually. Nutrition Support Pharmacist: Board Certified Nutrition Support Pharmacists care for patients who have to use specialized diets such as an IV or a feeding tube. According to Payscale.com, nutrition support pharmacists earn an average annual salary of $130,000. Oncology Pharmacist: An oncology pharmacist is board certified to work with cancer patients. They are the experts managing all aspects of their treatment through managing the side effects. The average pay for oncology pharmacists is over $116,000. Pediatric Pharmacist: Board Certified Pediatric Pharmacists will explain medications to their pediatric patients and family, track their course, and manage interactions and side effects. Pediatric pharmacists usually work within doctor offices, medical clinics, hospitals, or pharmacies. Their median annual salary is $121,500. Pharmacotherapy Pharmacist: This certification allows pharmacists to work alongside the medical team to determine the best course of medicine to optimize the patient’s outcome. They make around $127,000 annually. Psychiatric Pharmacist: Board Certified Psychiatric Pharmacists work with mentally ill patients to make sure they are using the most effective, cost-efficient medications possible. The average annual salary of a psychiatric pharmacist is over $142,000. Certified Diabetes Educator (CDE): People see their pharmacist more often than their physician. By adding a CDE designation to your title, you can help with managing all aspects of a customer/patient with diabetes. It won’t add much to your paycheck, but it will mean a lot to your regular customers. Providing CDC-approved Immunizations: If you’re going to be administering vaccinations, then you’ll need to have an additional certification which is available through the American Pharmacists Association. Most states do require this from their pharmacists. Education is always worth the expense, or so parents and educators will tell ya. When it comes to pharmacy school, those 6-8 years spent enlarging your brain and expanding your horizons will set you back somewhere between $20,000 to well over $100,000. Yeah, for real. The range is great because there are a couple of variables taken into consideration. In-state tuition will be less costly, as will public school. When you decide to go out of state, to a private college, you’re bound to have sticker-shock. HOWEVER, the beauty of getting a doctor of pharmacy (Pharm.D) is that it’s one of the few careers that the average median salary is well into the six figures. What this means to you is, you may be paying six figures for an education, but you’ll be reaping the rewards once your degree and license are earned. BUT, there are scholarships available specific to pharmacy schools to help lower the bottom-line cost, so that’s good news. Because there’s such a substantial cost for pharmacy education, it makes great sense to apply for as much financial aid as humanly possible. Unless you don’t need to, of course. There are a significant amount of scholarships available for students heading into, and already going to pharmacy school. These can be compounded with other types of awards, as well. Make sure you first fill out the FAFSA online. CVS Health Foundation: Gives money directly to pharmacy schools who then offer applying students a way to earn the scholarship funds. NCPA Foundation: The NCPA offers a few different pharmacy scholarships, each including a stipend to attend its annual conference, which is a requirement when accepting the scholarship awards. Tylenol Future Care Scholarship: The Tylenol Future Care Scholarship can be earned by students going into the healthcare industry. APhA Foundation Student Scholarship Program: It opens again in the Fall, and is available to active members of the APhA Academy of Student Pharmacists. AFPE Program Scholarships: There are eight programs for the first year through fellowship programs. Fruth Scholarship Fund: This family-funded scholarship program offers school-specific scholarships, as well as some additional scholarships. But, all are for students studying to be pharmacists. US News and World Report ranks Pharmacy #20 in the category of best-paying jobs. The median pay range for pharmacists is $122,230. And, the more years you put in, the closer to $158,000 you’ll get. Not bad at all! Even pharmacists in the lower 10% will earn over $87,000 annually. Pharmacists who work in retail drugstore chains will have to contend with those hours, which are not the standard 9-5. Most work full time and on the weekend, as well. At a six percent job outlook, it’s going to be an average employment growth for pharmacy jobs through 2026. This is partially because, while baby boomers are aging, and more people have access to healthcare, many are ordering their prescriptions through online sources as opposed to shopping through retail drugstore chains. You’ll be able to find better job options through hospitals and healthcare facilities, as opposed to actual storefronts. The number of pharmacy schools has increased, thus making job competition tighter within the slightly declining market. If you get licensed in one of the specialty areas of pharmacy, you’ll have a better chance of being hired over someone without any additional licensing to their credit. Also, it is highly recommended to do a residency which will also increase your chances of being hired. 500 hrs approved internship in Florida. not able to become an intern completed the first professional year at the U of M School of Pharmacy or another accredited school of pharmacy. Can be from another state.